One might think that after teaching at UConn for 33 years, writing some 20 books and scores of journal articles on the historic restoration and preservation of landscapes, and creating master plans for such national landmarks as Jefferson’s Monticello and Washington’s Mount Vernon – not to mention having those plans placed in the Smithsonian Institution’s Archives of American Gardens and Landscapes – Professor Emeritus Rudy J. Favretti, might be ready to sit back and rest on his proverbial laurels. That would be a reasonable assumption, if one didn’t know him. 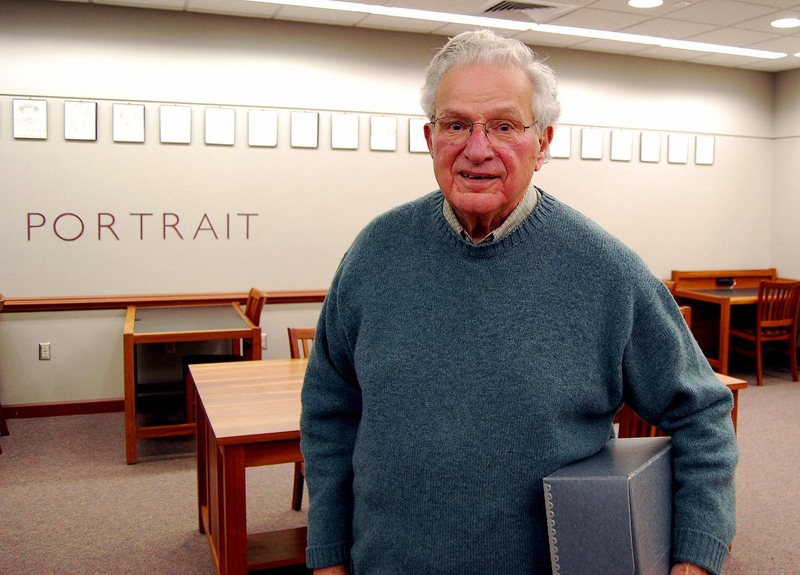 Blessed with an abundance of energy and a “planning gene,” Favretti, 81, says much of his intellectual spadework has been done at the UConn Libraries. Rudy Favretti in the Archives & Special Collections Reading Room. After earning his undergraduate degree from UConn in plant science, the Mystic, Connecticut native went on to earn advanced degrees in horticulture, landscape architecture, and regional planning from Cornell and the University of Massachusetts. At UConn, he served as an extension garden specialist and extension landscape architect from 1955-1975, and taught landscape architecture here from the late 1960s to 1988, developing the accredited landscape architect program, retiring when he was 55. During his career, he completed about 700 individual and collaborative design, master planning, and preservation projects. 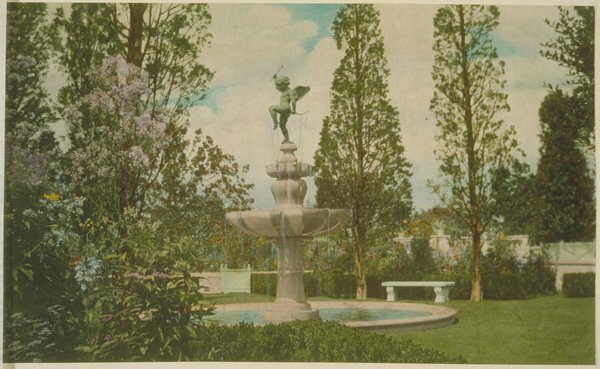 Favretti made the restoration and preservation of gardens and landscapes his life’s work, appreciating not only their aesthetic value, but their value as a lens through which to view a person’s life and times. Several years ago, he shifted his focus from gardens directly to people, specifically those who lived in Mansfield, his home for close to six decades. To date, he’s written about Wormwood Hill (in concert with his friend and longtime resident of the area, veteran UConn administrator, the late Isabelle Atwood), Mansfield Four Corners, Mansfield Center (as co-author) and the Gurleyville/Hanks Hill area, which is a tribute to his friends, fellow UConn faculty members, the late Annarie and Fred Cazel, Gurleyville residents themselves, who had done some research on the area, but who died before writing a book. The couple’s bequest to the Mansfield Historical Society will allow more regional histories to be published. Research for these histories, as well as for other undertakings including his keynote address in 2012 on the University’s iconic “Great Lawn,” has made Favretti a familiar sight in Archives & Special Collections and Homer Babbidge Library. “Even though I’ve been on this campus for over 60 years, I didn’t realize that in 1908 President Charles L. Beach had hired prominent landscape architect Charles Lowrie, a founding member of the American Society of Landscape Architects, to help plan the placement of the buildings surrounding the Great Lawn. The plans are here at the Dodd Center. I didn’t know they existed until I began researching the Great Lawn. Just because you retire, your academic life doesn’t end,” he contends. He is also currently at work on a book commemorating the 50th anniversary of Joshua’s Tract Conservation and Historic Trust, the largest such trust in Northeastern Connecticut, which he helped to found and whose papers are housed in UConn’s Archives & Special Collections. After completing that volume, he intends to finish his research into Mansfield Depot and produce yet another local history. His enjoyment today extends well beyond Mansfield. While he continues to tend his own gardens and remain active in the greater Mansfield community, he and his wife, Joy, regularly savor performances at the Metropolitan Opera. While in New York, they stay with their son, Giovanni, keeping tabs on the garden he designed for Giovanni’s townhouse. Other pleasures come from following the activities of his two daughters, Margaret, a high school history teacher in Scarsdale, NY, and Emily, an artist in Chicago. His training as a landscape architect, which required him to notice detail, should serve him well. “I can go to a cocktail party, come home, and describe what everyone was wearing. That kind of detail would be good for writing a novel,” he observes with a smile. The Connecticut Digital Archive (CTDA) has reached the Century mark with the recent addition of the 100,000 object. The CTDA provides digital preservation services to Connecticut-based non-profit cultural and memory organizations, including libraries, archives, galleries and museums. The first item placed in the archive in November, 2013 was from the Thomas J. Dodd Papers from the University of Connecticut’s Archives and Special Collections. Since then, thousands of other digital resources have been added to the archive from multiple institutions, including Trinity College Library, Connecticut Historical Society, the Connecticut State Library and Archives and the Fairfield Museum and History Center. Others are busy preparing their digital resources for preservation and access. A complete list of participating institutions and more information about the CTDA can be found here. Whether contending in the 1990s with the many issues facing the safe and punctual operation of Connecticut’s heavily used Metro-North commuter rail service in New Haven, writing a definitive history of the New Haven Railroad – a volume coveted by historians and collectors alike – or traveling aboard classic steam trains in exotic locations, J. W. “Jack” Swanberg has done it all. Clearly an adventurer, Swanberg’s love of trains took hold when he was a toddler. During his life, he has indulged that early fascination by taking rail trips throughout the world, while simultaneously enjoying a 38-year career in railroad management. 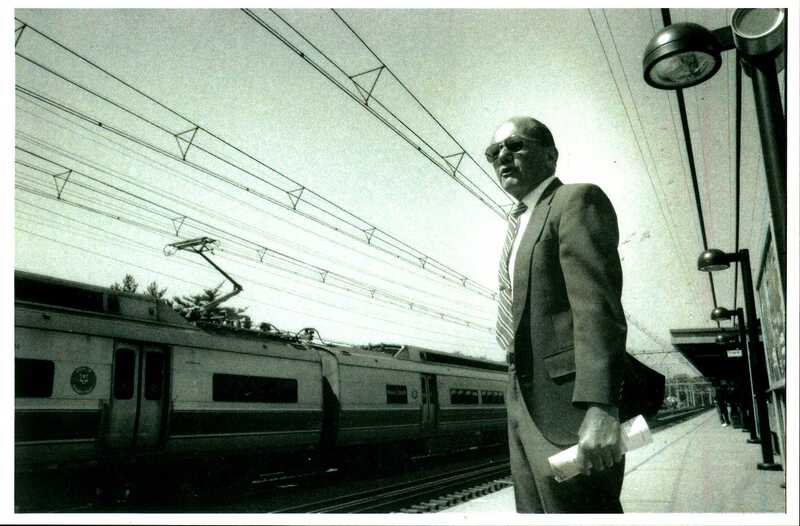 He began as a locomotive fireman shortly after his graduation from Hartford’s Trinity College, and ended as Lead Trainmaster for Metro-North in 2000. Since 2000, the Guilford, Connecticut resident has shared his time, energy, and expertise with Laura Smith, curator of UConn’s Railroad History Archive. He recently bequeathed his rich collection to the Archive, which is being digitally scanned to catalogue and preserve it. Railroads aren’t the only thing firmly within Swanberg’s grasp. He is knowledgeable about the defense of our country following four years of active service in U.S. Naval Aviation as an aerial transport navigator. He flew scores of missions worldwide, including many into Vietnam, and served another 25 years in the Reserve, retiring as a Captain. (a publication of the New Haven Railroad Historical and Technical Association), and other railroad history and enthusiast publications. Many photographs that he has taken and collected over his career with the railroad have been widely published, many by other railroad history authors. Swanberg explains the rationale for his largesse this way: “Typically when a collector dies, his or her collection of photos, records, etc. goes to a dealer and is scattered by being sold off piecemeal, thus mostly becoming unavailable to future researchers,” he says. “I’ve been collecting and accumulating photos going back into the 1800s for over 50 years myself, plus taking my own photos for just as long, plus collecting voluminous historical records. All of this is now consolidated, so why should it be scattered once again? I know that UConn will archivally preserve my collection and will make it available to researchers indefinitely. A regular visitor to the Railroad History Archive, Swanberg has applied his knowledge and helped Smith organize and describe materials in the collection, particularly photographs of New Haven Railroad steam and electric locomotive that were placed online in an early digital project. “The UConn Libraries has benefited tremendously from our relationship with Jack, and we are honored to preserve his legacy as a historian, collector and creator of railroad history,” Smith added.